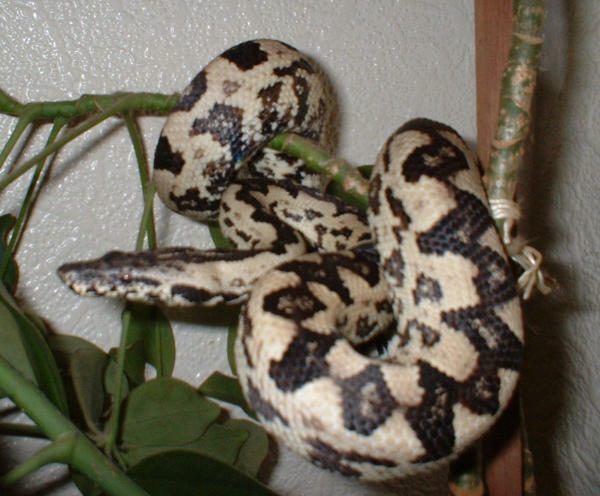 Candoia is a genus of boas found from Samoa and Tokelau west through Melanesia to New Guinea and the Maluku Islands. Four species are currently recognized. Members in this genus typically have a rounded and heavy body, with a flattened triangular shaped head, and an upturned nose. Colors and patterns vary greatly, but most are various shades of brown to black. They can vary in adult size from 60 cm to 1.8 m. Males are typically smaller than females and can be distinguished by their prominent cloacal spurs. All are primarily nocturnal and their primary diet consists of frogs and lizards. Here you may post messages or questions pertaining to all aspects and issues regarding the keeping, breeding, health, and conservation of all species of Candoia boas.